I have many techniques I integrate into my bodywork from my "tool box" to reduce or eliminate many chronic pain conditions. I provide, Rolfing® Structural Integration in Anchorage, Alaska with many of the "tools" explained below. Bio Mat I Include in all my services the Bio-Mat technology. It is an Amethyst Far Infared Negitive Ion mat that is placed on the bed/table, under the sheets. Many clients find that the Bio-Mat is very helpful in helping their wellbeing and pain or discomforts disappear. Amethyst stones are placed in horizontal rows within the mat. The Amethyst stone is often associated with peace. It is known to calm and protect the mind and soothes those that have engaged in rigorous mental activity. The Amethyst is known as "natures tranquilizer". Far Infrared Rays penetrate 6 inches into the human body. Therefore, these rays not only benefit the muscles on the surface of the body, but all the cells including blood vessels, lymph glands and nerves in the deepest parts of our bodies. Because of this, these rays can warm our body from the inside out and stimulate most of our body's essential systems, including the immune system. Benefits of Negative Ions Purification of Blood: Through research done by Dr. Tanaka in Japan, it was discovered that when negative ionization is introduced, the ions in calcium and natrium (salt) in the blood increases, and the blood is purified by increasing blood alkalinity. Reviving the Cell: When the amount of negative ions in the blood is increased, the function of a cell is activated. The electrical material exchange speeds up the cell function, and, as a result, nutrition is fully absorbed by the cell and waste material is eliminated. Metabolism is increased and the function of the cell is gradually revived. Increases Immunity: As the amount of negative ions increases, the Gamma Globulin in the blood increases resulting in blood rich protein and antibodies. Control Function of the Autonomic Nervous System: Dr. Tanaka found that negative ions control the balance in the autonomic nervous system between the insulin and adrenal functions. This provides strong resistance to diseases. Structural Integration is a scientifically validated system of restructuring the human body. It releases the body from life-long patterns of tension and allows gravity to naturally realign them. This therapy is highly effective for improving posture, reducing or eliminating chronic pain, and releasing long-term emotional and mental stress. A typical treatment (called a “10 series”) consists of ten weekly, one-hour sessions, with each session focusing on a certain area of your body. These sessions are organized into a specific sequence to most effectively realign the entire body. When the treatment is completed, you will experience a ‘new’ body that has better posture and a more relaxed relationship to gravity. Your Treatment plan will be collaberated to fit your health goals in your first visit. 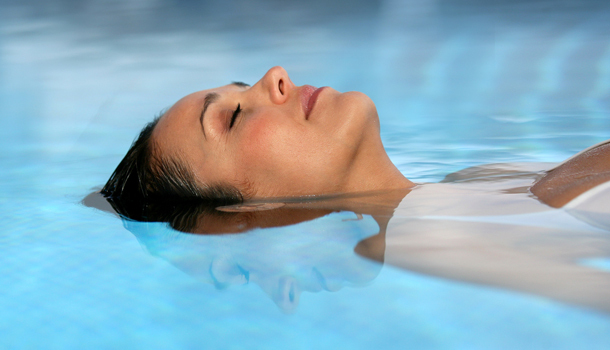 Floatation Therapy is essentially a way of achieving deep relaxation by spending an hour or more lying quietly in darkness, suspended in a warm solution of Epsom salt. Float tanks are also known as isolation tanks, sensory deprivation tanks & REST (Restricted Environmental Stimulation Therapy) chambers. SourcePoint Therapy is a simple non-invasive energetic approach to healing intended to support and enhance whatever modality you are using as a practitioner or receiving as a client. SourcePoint Therapy works with points in the human energy field that connect the physical body directly to the universal blueprint of health that contains the information of order, balance, harmony and flow necessary to sustain life. SourcePoint Therapy teaches and uses a body scanning technique that locates energetic blockages in the body that obstruct the information of order, balance, harmony, and flow inherent in the universal energy from manifesting in the physical body. SourcePoint Therapy has profound effects on the healing process as it reconnects the body and its energy fields to the fundamental information of health. Who can benefit from SourcePoint Therapy training? Bodyworkers (Massage Therapists, Cranial-Sacral Therapists, Rolfer's, etc. ), Acupuncturists, Medical Doctors, Polarity Therapists, Physical Therapists, Nurses, Psychotherapists and in general anyone interested in maintaining their own health, or that of family and friends, through simple healing methods.